← NBC’s New Shows — Date, Marry Or Kill? 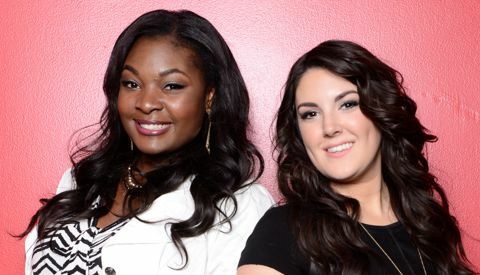 As this strange season of American Idol comes to its conclusion and Candice Glover and Kree Harrison get set to compete to become the first female champion since Jordin Sparks took the crown back in Season 6, it’s time to figure out who’s gonna win this thing. If I were to simply use the four criteria I deployed to rank the previous winners based solely on their Idol performances, I’d hand the victory to Candice. As a reminder, those categories were Vocal Excellence, Showstopping Performances, Artistry, and Stage Presence. Even if you called the Vocal Excellence category a draw, Candice, to me, would win out in the final three categories, and, with “Love Song” and “Somewhere” under her belt, has a particularly strong advantage in Showstopping Performances. But it’s not that simple. The person who wins American Idol is not necessarily the contestant who has given the best Idol performances — there are many other factors at play. Otherwise, Clay Aiken would have easily beaten Ruben Studdard, Adam Lambert would have wiped the floor with Kris Allen, Crystal Bowersox would have taken the title from Lee Dewyze, and Jessica Sanchez may have even toppled Phillip Phillips. Hell, Carrie Underwood, one of the show’s most legendary winners, may not have even been able to beat Bo Bice. No, there are several other things to consider, most importantly that great intangible — taste. Who does the (dwindling) voting audience like more? The key word there is voting — it’s all well and good for most of the audience to prefer one performer, but the winner will be determined by who cares enough to pick up their phone (or log on to their computer) to vote. This can be about style of music, or personality, or song choices, but who wins the taste factor vote doesn’t always align with who gave the highest quality performances throughout the season. I think Kree may have the edge here. The fact that she is fundamentally a country musician certainly works in her favor; it’s easier to imagine exactly who Kree’s fans are, and where she’ll fit into the existing music landscape. It also must be said that though this is a competition with real-life stakes, it is also a television show, so each woman’s narrative arc plays a large role. As last week’s hometown visits illustrated, both Candice and Kree are likable people with compelling stories, but Kree’s experience losing both of her parents at a young age has really resonated with a lot of viewers. As gross as it is to acknowledge, in a race this close, a few sympathy votes may make the difference. Another factor is who will pick up votes from the person who came in third place. That’s what really sunk Adam Lambert — Kris Allen’s ascendant journey, combined with many of third place finisher Danny Gokey’s votes going to him, pushed him over the edge. So where will Angie Miller’s votes go? This one’s hard to call. Angie was in more in the vein of a traditional pop star than either of the remaining women, but she sang several R&B songs on the show, so there may be some overlap with Candice’s fans. I’m going to give Candice the very slight advantage in this consideration. Finally, it may just comes down to what happens on the night. Will performance order play a role? Who will sing last, and leave the final impression with the voters? How will the encores hold up to how we’ve romanticized them in our memories? Who will the judges throw their support to? And whose coronation song will resonate more deeply, or just simply be a better song? (Here’s how Phillip Phillips nailed the prize — his final song wiped the floor with Jessica Sanchez’). These are things we can’t possibly know until the live show airs. All things considered, I’d personally give my vote to Candice. But with all of the intangibles factored in, and without having seen what happens tomorrow night, though it’s hard to make a final call, at this moment I think it’s Kree who is going to take home the title. Who do you think is going to win? And for what reason? Let me know! Candice Glover!!!! All the way from Georgia. We love her so much. Vote Candice America.